According to the data of the State Committee on Statistics of Uzbekistan, the price for brick has gone within 9 months by 48.4 percent, for cement - by 24.7 percent, for wallpaper - by 16.3 percent, for slate - by 14.3 percent compared to last year, "Uzbekistan News" reported. 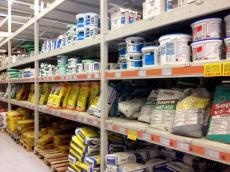 While, the non-food products (clothing, shoes, fabrics and yarn, household textiles, foodstuffs, medicines, personal care products, tobacco products, fuel for cars), on average, have risen in price by 9.1 percent, the building materials have risen in price by 18.4 percent . Analysts believe the main reason for the decline in cement production is that the construction industry of the country took an energy “pill” resulting in price increases in 2018. For enterprises in the industry, the tariffs for gas and electricity consumption rose by at least 60 percent. Meanwhile, the ratio of 1.6 to the existing gas and electricity tariffs is applied to the enterprises for the production of burnt brick, asphalt and cement, which have introduced energy-efficient technologies and equipment, as well as to those using alternative fuels (coal), including the dry method of cement production.